There's a real problem facing Americans over the age of 65 -- the cost of nursing home care. It's expensive and often unavoidable. A lucky few have enough income to cover the $80,000 per year cost. But how does the average person afford it? You may have heard of an irrevocable trust, or what we call a nest egg trust. This common tool helps many families who want to protect assets and plan ahead for future aging and care costs. Aren't Trusts Just for Wealthy People? It's a common misconception that trusts are only for the wealthy. However, a nest egg trust is designed for regular, hardworking folks who have saved a bit for retirement. Many families who want to protect assets and plan ahead for future aging and care are deciding that a nest egg trust is the right tool for them. So, What's a Nest Egg Trust? A nest egg trust is an irrevocable trust that protects your hard-earned savings and also helps you qualify for care benefits if you need some form of long-term care. There are many different types of trusts, and each depends on a person's goals and situation. But the bottom line is they protect your property and savings so you can get the care you deserve without losing your entire financial legacy. You can read more about trusts and how they work here. Isn't That Too Good to Be True? You qualify for Medicaid benefits AND you get to keep your hard-earned savings and assets? Yes, you do, but the nest egg trust involves a trade-off. To protect your assets, you must give up some control of them. What does this mean? It means any assets you put into the trust have some restrictions, so you can't spend them any way you want anytime you want. Of course, no one wants to give up control of their assets, but many families find that it is well worth the trade-off to protect their financial legacy (and save things like the family farm). They even find that the control they give up is much less than they expected. How Do I Set Up a Trust -- Isn't It Complicated? If you were to do it on your own, yes, it would be complicated. But with the help of an experienced and trusted elder law attorney, it's not that complicated. And it's well worth your effort. Properly planning for your future is one of the greatest gifts you can give your loved ones (and yourself!). Knowing your financial legacy is safe gives you a priceless amount of peace of mind. How Can Edwards Group Help? In addition to setting up a trust, we will help guide you through making decisions around the trust. We have more than a decade of experience in creating this type of trust for people -- we know the problems to anticipate and address; we know how to make the decision-making process a bit easier; and we know the right questions to ask to make sure YOUR trust works for YOU and your unique family and circumstances. If you think a nest egg trust might be right for you, we encourage you to give us a call at 217-726-9200. We will be happy to review your situation with you and counsel you as to whether a nest egg trust is best for your circumstances and the goals you want to achieve. To learn more on your own about nest egg trusts, download this FREE resource -- Nest Egg Trusts: A Good Tool to Protect Property and Savings. When you or a loved one are dealing with a lot of medical issues, or even “just one” complex issue, the paperwork can become overwhelming. Over the years, Edwards Group has evolved into a comprehensive, interdisciplinary resource for families facing the challenges of aging. 1. Keep all records until the charges associated with the procedure or diagnosis have been resolved. This is the minimum amount of time that you should keep the records or notes. 2. Keep ALL surgical and pathology reports. The surgical reports can be helpful if more related procedures are needed in the future. Pathology reports are important in case a disease recurs, but they can also be helpful to other family members who may need them as a reference. 3. Create a lists of ALL doctors, their speciality, and/or what they treated you for. It’s helpful to have this all gathered in one place, especially if you or your loved one are seeing multiple specialists. 4. Keep an updated and thorough history/timeline to help you explain the complex condition or to help other doctors more easily understand what has transpired. 5. Keep a current, up-to-date medication list. Many people may not think of this as “medical records,” but it is vital to receiving accurate care. Doctors’ offices don’t communicate with each other as much as you may think, so if you have multiple doctors, it’s important for you to know at all times what medicines you are taking and what the dosages are. If there are generic or hereditary considerations, then all of these things can be especially important to keep track of so future family members can have better information if they themselves have to be treated for the same condition. You may also want to consider starting a 3-ring binder to help you organize paperwork and track tests and appointments if the condition is complex or chronic. That way you can have ALL information connected to the condition in one place — doctors notes, test results, EOBs, co-pay receipts, support organizations, etc. If you or a loved one needs help with the challenges of aging or dealing with chronic illness or disability, we encourage you to give us a call at 217-726-9200. Our Elder Care Advisors will be more than happy to discuss your situation and see if there are ways we can lessen the burden for your family. You may have read in a previous post that Buzz Aldrin has been fighting with his children over his own competency. Aldrin’s children are concerned that he is not able to make good choices any longer… In that same article we talked with Attorney Amanda Lundeen about what everyone should know about adult guardianships. In that same conversation, she gave us four tips to avoid an ugly guardianship yourself. 1. Get good Powers of Attorney in place while you’re well. Planning early is more effective than planning during a crisis. Research is pretty clear that decision-making ability and cognition start declining as people age. It is important to think about comprehensive planning before this becomes problematic — somewhere around 60-65 is typically a good rule of thumb. 2. Keep your Powers of Attorney (and your plan) up to date. It is a pain, but many institutions will not honor a Power of Attorney that is more than a year or two old. We say this all the time, but estate planning is not a one-time deal. Keep your plan up to date with the 3 L’s of Estate Planning, or join our Dynasty Program and be sure your plan will be ready for action when the time comes. 3. 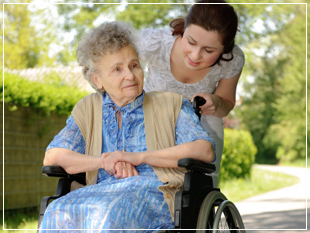 Use a professional who understands down-the-road needs of seniors. Experienced elder law attorneys should be able to help you anticipate what needs may arise in the future. In addition, they should have effective planning tools that can help address those needs. 4. Communicate with your family. Tell them who you’ve named and consider explaining your thinking on that decision. It’s also important to discuss how you want things dealt with. One of the biggest challenges as we age is discussing with our children things that we’ve never discussed with them before — finances, healthcare, end-of-life preferences, etc. The sooner you can start having those conversations, the easier it will be when things become difficult and an acute problem crops up. The more your children understand your feelings on these issues, the better they will be able to make the decisions you’d want made. This sets them up for success, and certainly will benefit you in the long-run as well. As usual, planning ahead and thinking through the challenges of aging before they happen is the best way to make sure you and your family can face these difficulties without creating extra stress or expense. Most people don’t know how to manage all the issues that arise with aging loved ones, so Edwards Group developed a holistic way to help families think through the legal, financial, and care issues that develop as someone ages. In addition to a thorough and effective estate plan, a Life Care Plan offers the option of partnering with us to plan for your care and help you navigate decisions on your journey through the aging process. Our latest workshop, Aging With Confidence: 9 Keys to Wise Planning and Peace of Mind, is a great place to start learning about the components of an effective plan that will effectively address the challenges of aging while protecting your legacy. Call us at 217-726-9200 to RSVP for an upcoming workshop. Most people don’t connect estate planning and healthcare issues. However, as people live longer and face the skyrocketing costs of aging in America, a new aspect of estate planning has emerged. We call it “Life Care Planning.” This type of planning addresses the type of care you may need toward the end of life and how to pay for that care. It is difficult to face, but statistics tell us that 70% of people who reach the age of 70 will need some sort of long-term care (like a nursing home). The need for long-term care can arise because of stroke, dementia or any number of serious health problems that develop as people age. How do we pay for good care? How do we keep the peace in the family during this extremely stressful time? How do we protect our loved one’s (or our) life savings if the average cost of a nursing home in Central Illinois is $78,000 a year? How can we take maximum advantage of the help that is available to pay for good care? Part of what we do in guiding families through this stressful time of life is to help answer these questions by creating a Good Care Roadmap. We also understand that timing is critical when families are facing serious transition points such as a cancer diagnosis, progressing dementia or a sudden stroke. If you or someone you love is in crisis because of a serious medical issue, we urge you to give our Elder Care Advisors a call today at 217-726-9200. They guide families through this time of life on a daily basis. It’s all they do everyday! We regularly hear from families who say they can’t imagine getting through this difficult time without the help of an experienced guide. It is one of our greatest pleasures to relieve stress and help get good care for loved ones who are aging!